Every gamer in Final Fantasy XIV wants to win more, so they learn all kinds of skills to improve their level, but which skills is more useful and could work a lot, then you will need to screening by yourself. Today I will share three Final Fantasy XIV guides that will help you a lot, you need to learn these three skills later if you want to win more in this game. You can see the details in following content. You have a stack of books in your menu that log the things you do over the course of the game. Your hunter’s log, for example, tracks the beasts you’ve killed out in the field. For DuckTales fans, these are basically your Eorzea version of The Junior Woodchucks Guidebook. Pay attention to these logs, because they’ll give you easy objectives that will grant you bonus XP. And bonus XP is always welcome. Before you start that second class, take a bit of time studying the game’s Job system. Jobs are basically A Realm Reborn’s “Prestige” classes, and each one requires a particular class to be at level 30 and a particular second class to be at level 15. Understanding how this system works will let you unlock the Job you want without all the hassle of trial and error. When you enter a new town, you’ll generally see a giant blue magically floating crystal called an aetheryte. You can attune yourself to each one, and this links that location up with your Teleport spell. Sure, it’ll cost you some gil to travel this way, but it’s a hell of a lot more convenient than walking across the fantasy landscape like some silly hobbit with an evil ring in tow. Do you think its necessary to learn the three skills after reading this article? Not only need you learn them if you think its useful, but also you should practice a lot if you want to use these guides skillfully, and also you can innovate it, you can add some your own methods in new skills, it will work more I think. 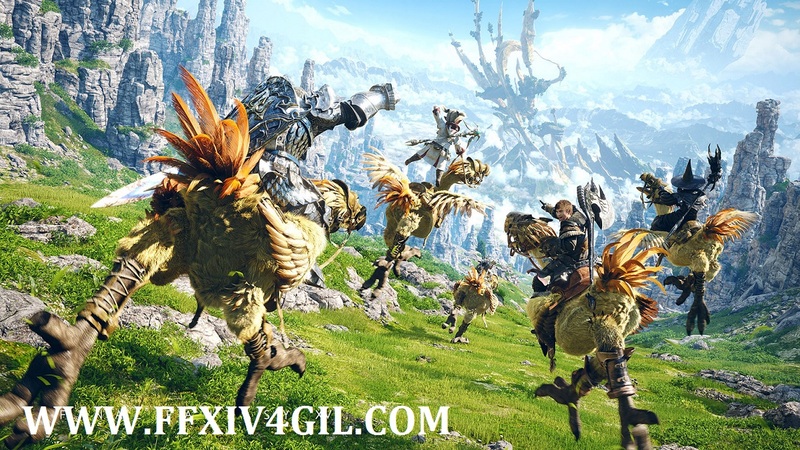 See more Final Fantasy XIV guides, you can follow this site: www.ffxiv4gil.com.